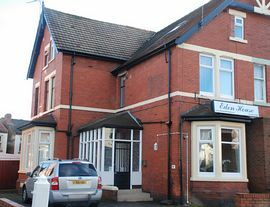 Welcome to Eden House an elegant and traditional Victorian semi that retains many of its beautiful original features but has been renovated to modern standards to include full central heating, en-suite shower rooms and new fire and safety system. 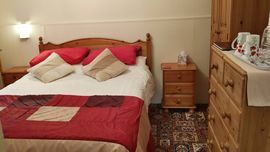 All bedrooms are super clean and have hairdryers, well stocked hospitality trays and flat screen TVs. 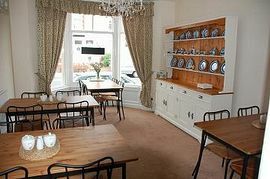 A full English breakfast or a lighter option, cooked to your specification is served in our spacious sunny dining room. Delicious packed lunches for your day out or journey home are also available on request. Our wide drive offers several free car parking spaces and we enjoy an excellent location just minutes from the sea front and a short walk to the bustling town centre. For further information please have a look at our link above or see the contact details below. Leave the M55 Motorway at junction 4. Go right round the roundabout on to the A583 Preston New Rd, past the windmill on your left. Go through 10 sets of traffic lights (including pedestrian)then turn left in to Palatine Rd. Eden House is 3rd on the left. 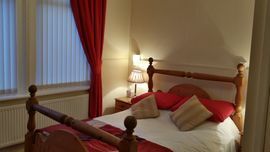 We are approximately a five minute taxi ride from Blackpool North station. 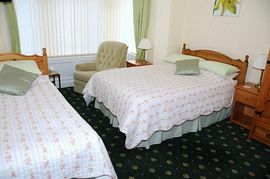 We are approximately a ten minute taxi ride from Blackpool International airport.